We stayed in this hotel once before and had a good experience so it was easy to pick it again. The location is superb right in the heart of the Center City. Within a block or two I got few favorites of mine such as the Philadelphia Chutney Company (delicious dosas), Capogiro (dairy-free gelato) and Hip City Veg (veggie burgers). So this location works for me more than well. 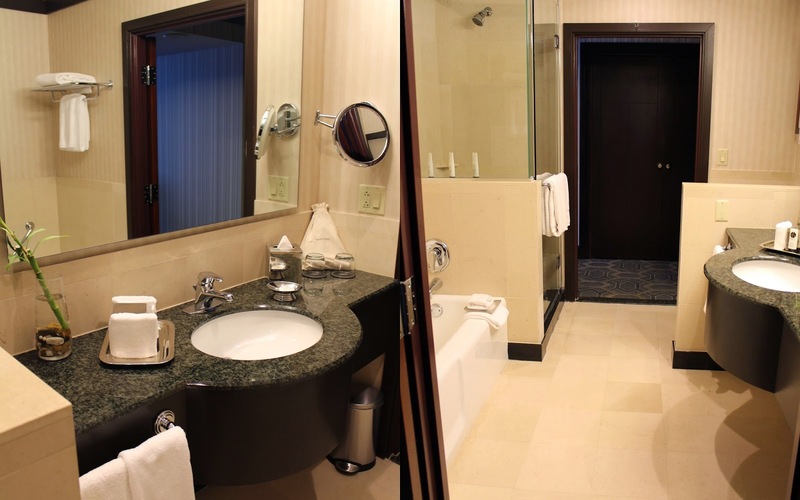 Comfortable bed and big bathroom with separate tub and shower gives Sofitel huge extra points. Also their front desk staff (I interacted with three different ones) were super friendly and helpful.